Tenants can leave behind a terrible amount of waste. All Trash OZ offers real estate waste removal services that include cleanups and clean-outs. We don’t use bins, but do the cleanups ourselves, ensuring that a property is left spotless. Contact us for great services at great rates. The best and most convenient way to remove waste, as well as one that leaves a property spotless is having professionals that specialise in real estate waste removal complete the job. 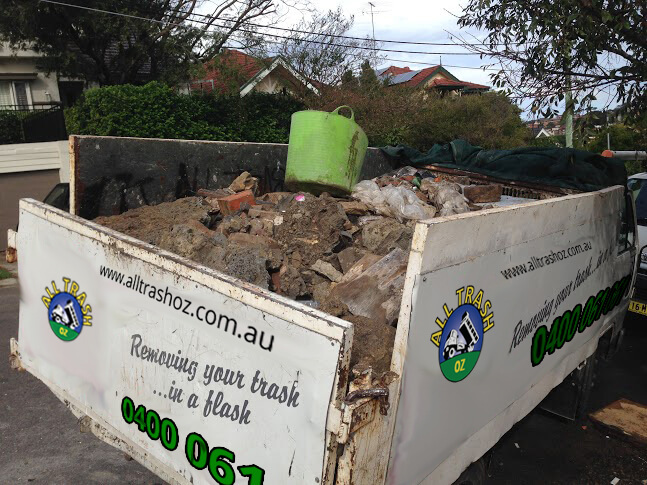 All Trash OZ provides unwanted waste removal that excels in property owners expectations. We move, lift, clean and get rid of the junk and trash left behind by tenants, as well as periodic cleanups of a property. We work with real estate property owners, assuring them the services we provide are safe and that all disposal and cleanup will be properly completed. We are the professionals that make the task of removing and cleaning up unwanted rubbish a breeze. You don’t have to deal with bins, or hauling your items to the curb. We are the professionals that remove your junk by hand. We handle all aspects of the rubbish removal process from pick up to disposal to cleaning the area after. We charge accordingly to what we haul away. We recycle and donate items that are removed so that your bill stays minimal. We clean up and load all items so that your property is back in mint condition before we leave. We offer convenient scheduling, after hours, business hours, same-day and weekend services. We guarantee our services 100 percent. We guarantee no surprise on your final bill. We provide straight up, reliable quotes and guarantee no hidden surprises. There’s no job too large or small. Only a job that All Trash OZ Sydney will excel in completing. When All Trash OZ is called to a job, the work gets done! Offers competitive rates – Our motto is that we will not be beaten on rates. And, we will not dismiss quality offering the best rates on your real estate rubbish removal Sydney. We offer same day service – We understand that things need to be taken care of immediately as your company can suffer. We assure you that with our Real Estate Rubbish Removal service Sydney, you will save, money and effort. We hand load your rubbish into our trucks and clean the area after, leaving you with spotless premises. We offer Free Ethical Quotes over the phone or on our web page. We are your solution for quality work at great prices. Our removal specialists are quick and efficient. Guaranteed no hidden charges, only great work! We are a company that excels in the industry, and one that it only takes a phone call to set your mind at ease that your rubbish and waste removal will be handled properly. For more information on All Trash OZ Services, contact us at the number below. We can also be reached through our “Get a Quote” form that is located at the top right of this page. We are the experts in the industry that never dismisses quality services for affordable work. We guarantee both!